The 2016 annual supplement for the HE Harris Canada Album includes Canadian commemorative and regular issues released up to November 30, 2016. Fits both 2-Post and 3-Ring Binders. The 2016 annual supplement for the HE Harris Liberty II Album includes UN, US, Possessions, and Trust Territories stamps released up to November 30, 2017. Fits both 2-Post and 3-Ring Binders. The 2016 annual page supplement updates the Harris Masterwork Deluxe and Standard, Citation and Senior Stateman Album and may also be used with the Statesman Album. The 2016 annual page supplement for the HE Harris Plate Block Album includes all commemorative and regular issues released up to November 30, 2016. 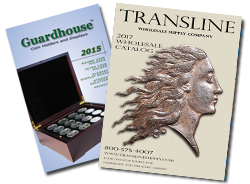 This comprehensive annual 2017 Master Worldwide Album supplement pages can fit in both 2-post and 3-ring binders. The 2010 annual page supplement for the H.E. Harris Liberty I Album includes commemorative and regular issues released up to December 31, 2010. Fits H.E. Harris 2 post and 3 ring binders. Future Release. No further information at this time.